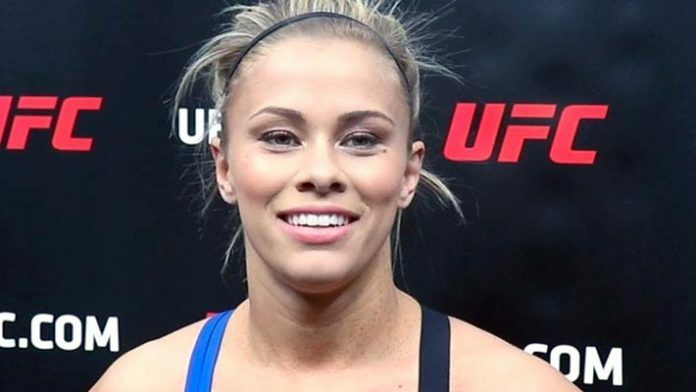 Paige VanZant is still waiting for her broken arm to heal but she received good news recently that should allow her to return to the UFC sooner rather than later. Paige VanZant has anxiously been waiting for good news regarding her broken arm and she finally got some just recently. The 25-year old strawweight contender, who just recently signed on to do color commentary for M-1 Global in the United States, has been keeping very busy since her submission win over Rachael Ostovich in January. Part of that schedule has been due to VanZant suffering a second break in the same arm that kept her out of action for the better part of a year before returning for her most recent fight. While she’s been keeping busy with her commentating gig as well as posing for the Sports Illustrated swimsuit edition, VanZant is ready to resume her career and it appears she will be able to do that sooner rather than later. “I got really good news yesterday. My arm actually is healing the way it’s supposed to, I’m not having those healing issues this time,” VanZant said earlier this week. “It’s totally healing. I should be able to start training in three weeks. Obviously, VanZant is going to listen to the advice of her doctors when it comes to her training schedule so she doesn’t push herself too hard and suffer another injury. That being said, she sounds hopeful that a return to training in about three weeks time means she should be looking at a summer time booking for her next fight in the UFC. The UFC always keeps a very busy schedule during the summer months including the recently announced UFC 239 fight card during International Fight Week in Las Vegas, which ends on July 6. Whether it’s that card or another one, VanZant sounds hopeful that she will be able to resume her career this summer after her arm finishes healing over the next few weeks.